How often do you feel you have created something so original and unique and feeling so proud of yourselves and within a few seconds of Google search,you fall back to the ground with a thud?Let me tell you,it is not a great feeling at all.But for a change,I felt good that even though the combination of Dates and Walnuts in Cakes and cookies is not new,I followed a basic cookie dough recipe and tweaked it to make this cookie and guess what,it came out great too. It has been a while since I posted any Cookie recipe here even though I end up making it at least once every two weeks.Reason being,I follow a very basic recipe and change flavorings every time which gives me a different tasting cookie but the recipe remains the same.I started by making a basic shortbread cookie recipe but now swear by this recipe from The Yum Blog for the Cinnamon Cookies. Powder the sugar along with the spices[if using]. Cream the butter and powdered sugar till fluffy. Keep about half a cup of flour aside and knead in the rest. Add the remaining flour along with the chopped dates and walnuts till you get a smooth dough[adding the dates and nuts before makes it difficult to mix]. If the dough is dry and crumbly,mix in one or two tbsp butter and if it is too sticky,mix in 1 tbsp flour. Put the dough inside a ziplock bag. Leave the bag open and slowly press out the dough with a rolling pin so it becomes a rough rectangle about 1/4 inch thick. When the dough has chilled enough, take it out. Place on a cutting surface and slit the Ziploc bag open. Take the chilled rectangle of dough out, and cut into 1 1/2" squares with a sharp knife after marking them out using a ruler. 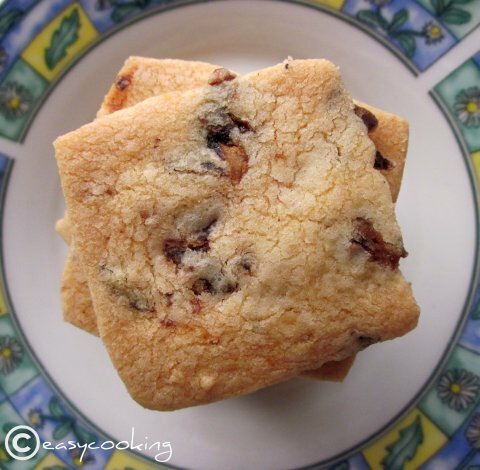 Place the squares on a baking sheet lined with parchment and prick them well with a fork. Date and Walnut Cookies are off to Suma's Blog Anniversary event!! The cokkies were awesome divya, wanted to have more and more. Thanks for the yummy cookies. I really like the first photo, cookies look so tempting! They reminded me of Dorie's shortbread cookies,and by their looks,I can say that they must have tasted very good! Lucky guys who got these at the meet. Haven't tried this combo in a cookie, sure sounds promising! Luv the texture of those cookies...dates and walnuts both are my fav...must try these! Wow.. Lovely cookies.. looks awesome !! wow the cookies look super crunchy ! I always miss Chennai..and now I miss it more because I missed seeing you guys and better yet, getting some of these babies home! Love the perfect texture on the cookies! Cookies look so good! Would like to grab some! Crunchy and crispy... Luved it. I still have the taste lingering in my mouth, Divya. Just loved the color & texture of those gorgeous cookies. My best wishes for this Christmas! Look so good! Hope I can squeeze time to make them! Very tempting - dates and walnuts are a beautiful combination!! I love nuts in my cookies. Lovely pics Divya. Merry Christmas! 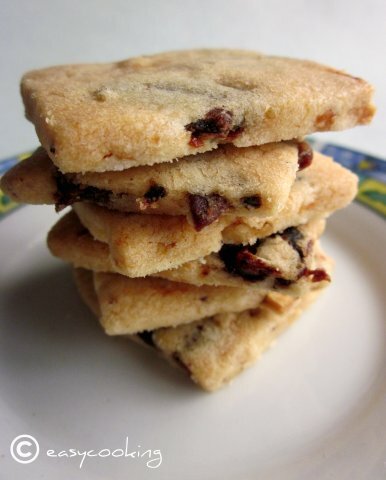 Can I use self raising flour for the cookies? Also is baking powder missed out or is it not necessary to prepare the cookies? Mmmmm they look delicious. I love cookies, i wiil try this tomorrow. Hey cookies look lovely..planning to try this soon...have u missed out baking powder or isn't it required? ?